US Crede Capital enters in equity partnership with Vast Resources for the JV development of their focus properties Manaila polymetallic mine and the Baita Plai mine in Romania. At Manaila, the firm aims to improve the open cast mine to increase volumes and expand the mining licence area to increase the potential to increase the mine life. UK based mining developer Vast Resources, which has operations in Zimbabwe and Romania, has entered into an agreement with US-based Crede Capital that will see the investment group subscribing for new ordinary shares in Vast of 0.1p each to raise up to £5-million. 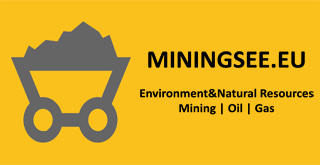 Romania is the main focus for Vast Resources (LON:VAST), where it has the producing Manaila polymetallic mine and the Baita Plai mine, where it aims to restart mining early in 2016. Posting interim results for the six months to end September, the firm said it also aims to convert resources at Baita Plai to JORC standard and recommission two of the current three ball mills at the site. It noted that while it earns operational income from Manaila and the Pickstone-Peerless gold mine in Zimbabwe, it will need further funding to bring Baita Plai into production and for further capex required to increase production there. Vast revealed it was in “advanced” discussion with a funding source and is “very confident” of being able to raise such funds. At Manaila, the firm aims to improve the open cast mine to increase volumes and expand the mining licence area to increase the potential to increase the mine life. On the sector generally, it said large and small high cost producers are likely to be forced out of the market, reducing supply/metal inventories, which should along with little exploration being carried out, lead to a recovery in metal prices in the medium to long term. In keeping with a firm at this stage, the total loss for the six months was US$3.64 million (2014: US$2.76 million). The deal provided for the issue of ordinary shares to Crede Capital in four separate tranches, occurring at 90-day intervals, with each tranche equal to £1.25-million in quantum. The 156.25-million new ordinary shares, which would make up the first tranche of the subscription shares, would be issued by Vast on Monday at an issue price of 0.8p apiece. The subscription for the second, third and fourth tranches remained conditional on an investment of £500 000, to be subscribed for ordinary shares by directors and senior executives or consultants of the company within two trading days of the issue date. Each issue of subscription shares would be priced at the closing bid price of the ordinary shares on the trading day prior to each investment date of the subscription shares. Vast believed the financing would provide the company with funding certainty at a key period in its development, as it progressed its producing mining projects, and may be used for general working capital purposes.